It's back to the Grove again today as we take on Sunderland, a team who sit just one place below us in the league. They are a team I think we owe ourselves a win over considering the way we caused our own downfall against them last season especailly at their place. At the Stadium of Light, Alex Song got himself sent off and Tomas Rosicky missed a penalty. Things we need to ensure we put right today by putting Steve Bruce's men to the sword later. 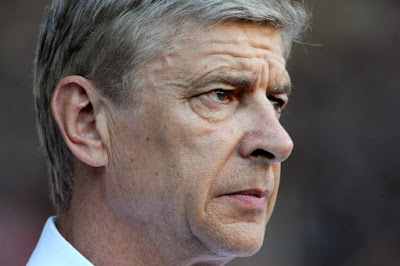 Arsene Wenger will be looking for a positive reaction from our last league defeat. It's a special day for the manager. He took charge of Arsenal for the first time 15 years ago today. A 2-0 away win at Blackburn Rovers. A result I'm sure he'd like his team to achieve today. Wenger spoke to the Sunday newspaper journalists on Friday about this team taking time to adapt to one another, especially in defence. And the back four could today be made up of two of his summer signings in Carl Jenkinson and Per Mertesacker alongside Laurent Koscielny and Kieran Gibbs. Wenger has been pleased with Mertesacker's adaptation to the Premier League. And the Frenchman believes that the 6ft 7in German can only improve. "He is adapting well. He is getting more aggressive. He is a very intelligent player and he will be a big asset to us. "He is a little bit like Tony Adams. He is not one of the quickest but he uses his brain." Whilst we have seen in Mertesacker's first game against Swansea he wasn't living with the pace of the Welsh side's nippy attackers, he read the game well and made some important challenges which meant those quick attacks failed to develop further down the pitch. I've been impressed by Mertesacker. I think he's looked assured in our defence. He doesn't rush things and that means in the majority of situations he makes the right decision. Of course we all want to see what sort of stability our defence will have once the German is playing alongside Thomas Vermaelen. If those two can gel well together, I think a lot of fans will be more confident we won't leak goals as much as we have already this season. We'll see how Mertesacker develops alongside another player later, with Carl Jenkinson set to start at right back in place of the injured Bacary Sagna. Wenger has suggested that Koscielny might play there at some point during Sagna's three months out. And the French defender will surely move from the centre of defence if asked to play there. However he's pointed out in an interview with Arsenal Player that whilst he's played that position before, it was many years ago. "I played right back when I started my career. Now it's maybe seven years since that. If I have to go to right back I will give my best for the team and will try to do the job with my qualities. "It is difficult when you lose Bacary because he is a strong guy and one of the best players. Behind him is Carl so I think he will play. I know Carl and when comes on the pitch he gives everything he can for the team." Personally I would hope the manager will stick with Jenkinson at least for the majority of the next seven games. He needs to become accustomed to playing in the position because whilst the estimated return for Sagna is three months, we know this timescale isn't always the case. Jenkinson can improve. There is no doubt about that. But he has to be given time to adapt at this level and there have been some good early signs he is able to do that. Another issue raised with the manager at his Friday press conference was whether he might invest in his squad during the January window. "At the moment I would say, spontaneously, 'No'. But, firstly, it depends who is in the market and, secondly, it depends how well we do from now on to December. Because if we have good results and the players develop well, number wise we have a big squad." Personally I think it's far too early to be thinking about January signings. We of course have a world wide scouting operation which works 365 days a year. So we'll be watching players. But as the manager says, we don't know at this point in time who will be available and what positions in the squad we will desperately need to fill. What we shouldn't allow to happen though is another situation where we miss out on a player - the obvious example being Phil Jones - who we could have signed for £10m last January but only made an £8m bid for the player. Anyway, Sunderland is our most obvious concern for today. And I'll preview who will start in the team later this morning. For now, it's time for breakfast.